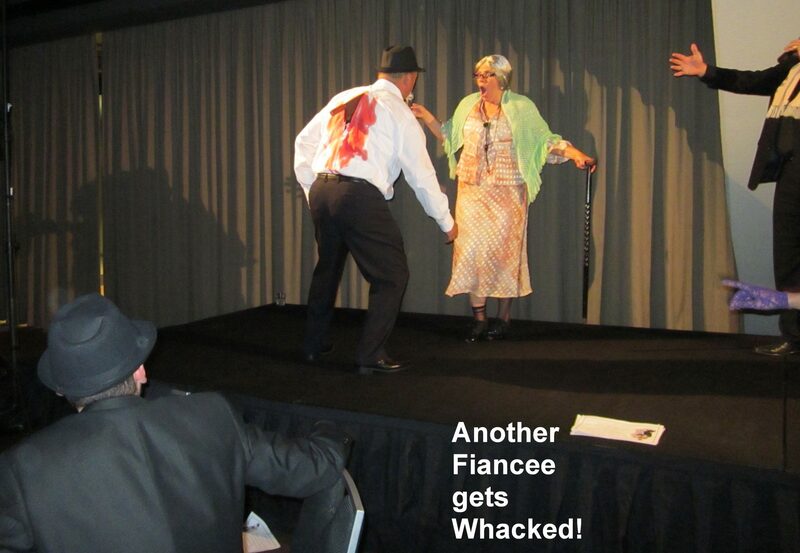 An hilarious dinner theatre show performed over two to three hours by highly experienced comedians. Ideal for staff Christmas parties, mid-Winter parties, Gangster nights, Mobster theme parties, 1920's or 1930's themed events, conference dinners, teambuilding, restaurants, cabaret evenings and many other styles of corporate or club functions and events. The Linguini family have lost their Nonna. That is to say, Granny Linguini has gone to swim with the fishes, and she has one final wish before freeing up her fortune to the grieving relatives. It’s SIMPLE ……by the end of tonight some lucky WISEGUY gonna marry Nonna’s eldest grandchild. A nice Italian….. like you! Otherwise the money gonna go to the Church. So dress up in your best mafia gear (A prize for the best dressed) and when the time comes to say “I do”….YOU DO… Capiche? You’ll begin your evening with some greetings and a bit of frisking from Papa Fettuccini, who is in charge of security. Then there’s the charming brother Luigi who wants to find a good husband for his sister, Maria. She’s getting a bit long in the tooth. This generous Italian family will host your evening from drinks to desert. Welcome to Café Rigatoni. They spend the drinks meeting all the guests and giving them their new Mob names. If the guests dress in Italian mob attire, we’ll run a Costume Parade. If you want to go more low-key, then I suggest your guests dress in black and white. This is an auspicious occasion with all the families gathered but there’s always the temptation to want to settle old scores. To ensure this doesn’t occur the guests take the e No Whacking oath and the evening begins. We announce the engagement of Maria to someone from your company. We ensure that the new fiancé has a great time. In the past Maria’s fiancé seems to have had an “accident” but we’re sure this one’s a keeper! Over dinner each table fills out a special Familia Sheet. This is a fun ice breaker and gets everyone at the table chatting to one another. Once dinner is over, Maria and the new fiancé get ready for the traditional marriage dance. But tragedy strikes and the fiancé dies dramatically. We need another fiancé! The 3 bachelors that were not chosen are now looking pretty good. We have a Blind Match game and the winner becomes the lucky guy! The game show questions are designed to reflect the company’s services or products. The wedding is back on track. If you have a small group of 10-90 people, why not book a table at our combined Christmas dinner, show and dance? 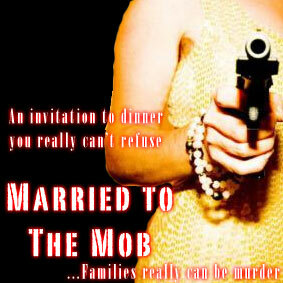 Back by popular demand this year is our “Married to the Mob” Gangster night. Cost: $105+gst pp. Includes hilarious dinner theatre show, a scrumptious Xmas buffet dinner, a glass of bubbles on arrival and a DJ to dance the night away. 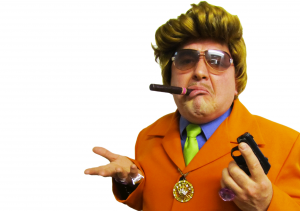 Dress: Come dressed as your favourite Mobster or Gangster - costumes optional but lots of fun.